Oral Cancer is a serious cancer of the mouth and can be life threating if not diagnosed. Oral cancer claims one life every hour in the United States. The reason for the high mortality rate is that most people do not seek help until the cancer has advanced. According to the Oral Cancer Foundation, oral and oropharyngeal cancer should be screened annually starting around the age of 18 and for tobacco users at the commence of tobacco use. The Oral Cancer Foundation has designed April as Oral Cancer Awareness month. Thus, Aria Dental is offering special for oral cancer screening in April, but do not wait till next April. Our professional team at Aria Dental in Mission Viejo is dedicated to your smile and overall wellness. If you have not taken this life-saving measure, we encourage you not delay another day and call us at (949) 364-9600 or to schedule for a non-invasive Oral Cancer Screening appointment for yourself and loved one. What Is Oral Cancer and It's Cause? Oral cancer includes cancers of the mouth and pharynx (the back of the throat). Oral cancer is a pathologic process, which begins by producing no symptoms making it hard to recognize without an exam. The most common form of oral cancer is malignant squamous cell carcinoma, which typically originates in the lip and mouth tissue. There are many other places in which oral cancers can occur, including: the tongue, insides of your cheeks, hard and soft palate (on the roof and floor of your mouth), salivary glands, pharynx (the back of the throat), gum, and face. Front of the mouth oral cancers usually related to tobacco use, heavy alcohol consumption or a genetic predisposition in a small number of cases. It often produces visible pre-cancerous tissue changes that can be seen with the naked eyes. In the very rear of the mouth known as the oropharynx, cancer occur related to tobacco use and frequently caused by HPV 16 virus. Thus, do not think that because you are a non-smoker then you should skip these important oral cancer screening. The develop of velvety white, red, or speckled (white and red) spots and plaques in the oral cavity. Persistent sore that bleeds easily or does not heal. Swelling / thickenings, lumps or bumps, rough spots, or eroded areas on the lips, gums, or other areas inside the mouth. Unexplained pain, numbness, tenderness, or loss of feeling, or pain in any area of the face, mouth, or neck. Difficulty chewing or swallowing, speaking, moving the jaw or tongue. It is important to remember that our professional team at Aria Dental does not necessarily think you have cancer if they suggest a screening test. Screening tests are given when you have no symptoms. By the time symptoms appear, cancer may have begun to spread. 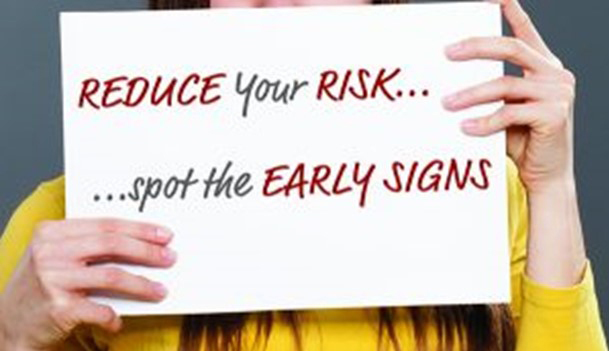 An Oral cancer screening is precautionary, not diagnostic. 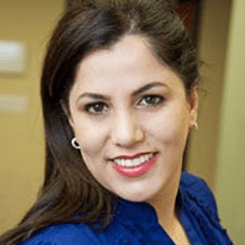 Dr. Maryam Horiyat and her team at Aria Dental in Mission Viejo is your front line in oral cancer screening and detection. The fact that they occur in an area of the body that lends itself relatively easy to examination, is an asset that allows a non-invasive manner to be used to detect their development early in many cases. Oral Cancer Screening is a simple, quick, and non-invasive screening that involves an examination of your oral cavity, and not just your teeth to detect cancerous and pre-cancerous conditions. Besides a visual examination of your mouth, we will also feel the tissue of your mouth and throat to detect any abnormalities. At Aria Dental, we do not rely only on observation of physical signs and feeling the skin for evidence of cancerous lump. By this point, though, most cases were in the later and deadlier stages with 45% post-diagnosis mortality rate. To prevent and diagnose oral cancer, we are pleased to utilize panoramic x-ray and 3D CT-scan. if any suspicious abnormality is present, we will refer you to our oral surgeon who can do more testing and use VelScope vx as a choice of oral cancer screening devices. This device is a simple handheld scope that uses natural tissue fluorescence to enhance visualization of Oral Mucosal Abnormalities, provides a quick and easy screening, and allow us to diagnose oral cancer at earlier stage when it is most treatable with 80-90% survival rate. The VelScope utilizes fluorescent technology to detect abnormal, pre-cancerous, and cancerous cells inside of your mouth. It works by emitting a blue light to your mouth, which causes the tissue to glow. This high-energy light will produce fluorescent areas that will look differently when it is not normal tissue. oral surgeon' team will observe the tissue through special optical filters, which allow us to see any areas that might need further examination. The entire process just takes few minutes and it is a tiny investment to protect your long-term health. The oral surgeon is delightful to offer you the Velscope screening as just another way to care about your smile and well-being for a long time. If an area of concern or Oral Mucosal Abnormalities is found, you may need to have more test done to find out if you have cancer. These are called diagnostic tests. For instance, we may perform a simple test, such as a brush test using Oral CDx, which painlessly collects cells from a suspicious lesion in the mouth to be sent to a laboratory for analysis. If this test comes back atypical or positive, we may recommend a biopsy.